Hertz Furniture, the premier school and office furniture supplier, has announced its newest sweepstakes on the popular teacher website, We Are Teachers. The contest offers one lucky teacher the opportunity to win a complete classroom makeover and create the classroom they have always dreamed of. To be eligible, contestants must sign up by April 17, 2013. The winner will be chosen by random drawing and be announced on April 26, 2013. The coveted grand prize is up to $10,000 worth of new classroom furniture from Hertz Furniture. 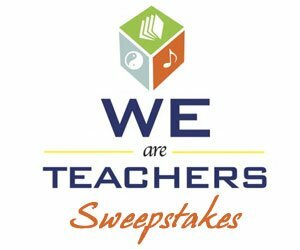 Teachers interested in entering the sweepstakes should visit the WeAreTeachers website and click on the sign-up button to fill out the form. The winner will be able to choose from teacher desks and chairs by OFM, whiteboards by Aarco, student desks and chairs by Academia Furniture, and classroom storage by Sandusky Lee. The prize does not include taxes or installation fees, and furniture will be delivered for free throughout continental USA. We Are Teachers is a one-stop shop for curriculum ideas, teaching tips, seasonal suggestions, and favorite resources. In addition to running monthly contests and sweepstakes, the website presents hot topics in education, providing teachers with relevant and timely information and suggestions they can implement in their classrooms right away. Studies have proven that well-designed classrooms have a positive affect on both student learning and behavior. The Hertz Furniture Design Team provides free design and layout assistance to help teachers optimize their classroom. Hertz Furniture also carries a full line of flexible classroom furniture, ergonomic classroom furniture, and the latest technological aids for virtual classrooms. "We are always happy to celebrate great teachers and to offer them this chance to win a complete classroom makeover," says Hertz Furniture President Saul Wagner. "Classroom layout is known to have a profound effect on how students behave, learn, and concentrate. Our Design Team will work hand-in-hand with the lucky winner to design a productive learning environment which meets the needs of students, teachers, and the activities at hand."